I have been working a lot with MATLAB and Simulink lately. For both my academic work and fun. If you recall the MATLAB demo I took to the Orlando Mini Maker Faire, you know that Simulink is an important part of that project. 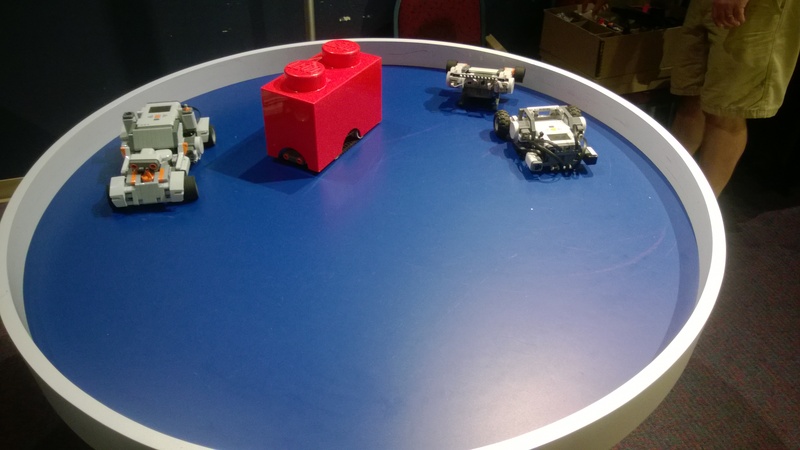 Simulink works really well for LEGO MINDSTORMS as its dataflow paradigm maps nicely to robotic interactions. I have actually been working on a tutorial to get people started with LMS and Simulink (hopefully will be posted in December or January). So why the picture of the book? Well I love having a good reference for my work and I am currently reading this book. I will be writing a review for Getting Started With Simulink by Luca Zamboni next week, but so far it has been a really good resource. It might be worth checking out if you will be working with Simulink. 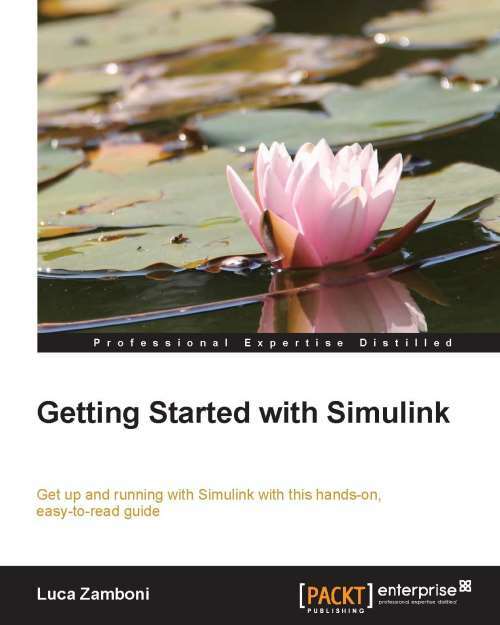 The book assumes you have never used Simulink and gets you up and running, very quickly. Check back for the full review next week! 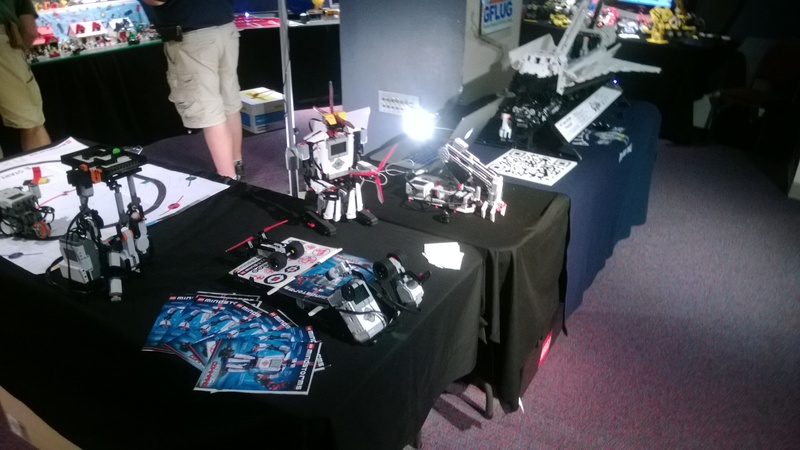 I am happy to share Part 1 of the demo I took to the Orlando Mini Maker Faire. This video covers the basics of what The MathWorks provided me. 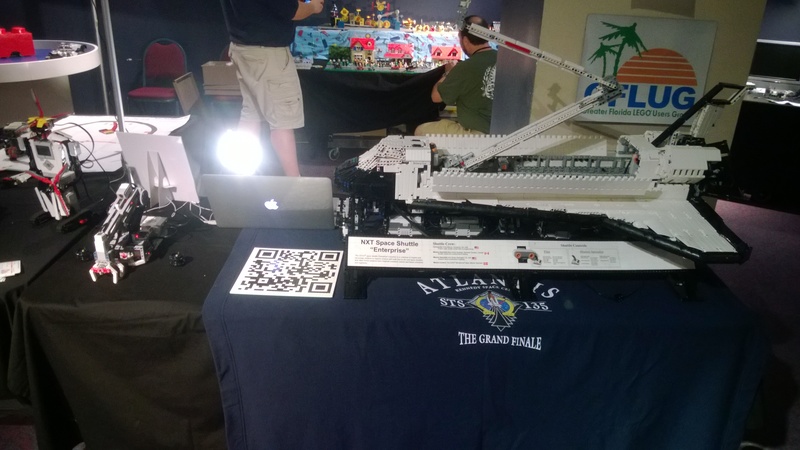 As you can tell by the video, it is somewhat dependent on lighting. But let me describe what the base demo does. 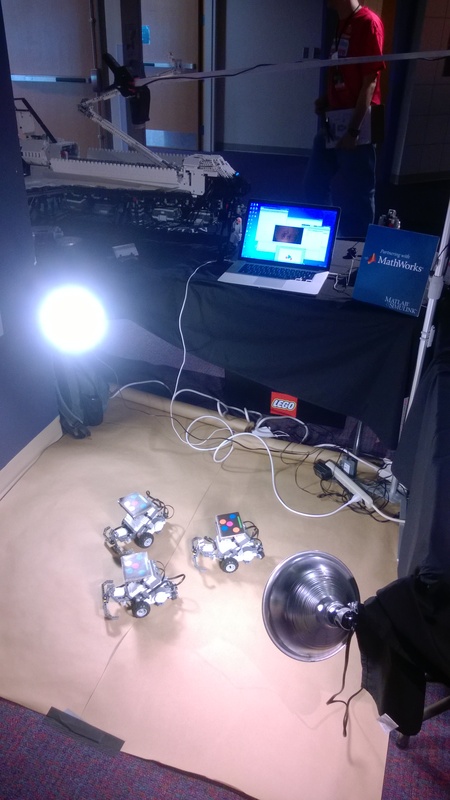 The setup is 3 NXT robots running Simulink code that communicates with my computer. There is a camera positioned about 6 feet above the robots. Each robot has a unique pattern that can be seen by the camera. 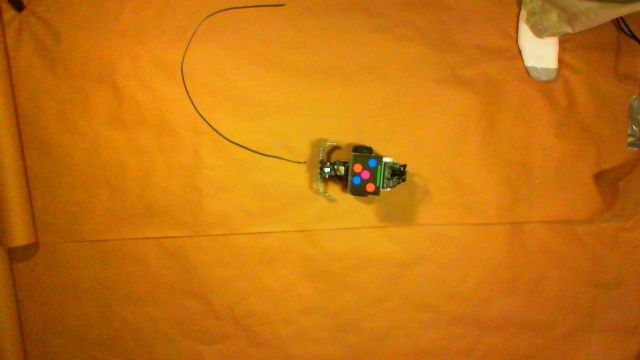 Using this pattern we can determine the position and heading of each bot. 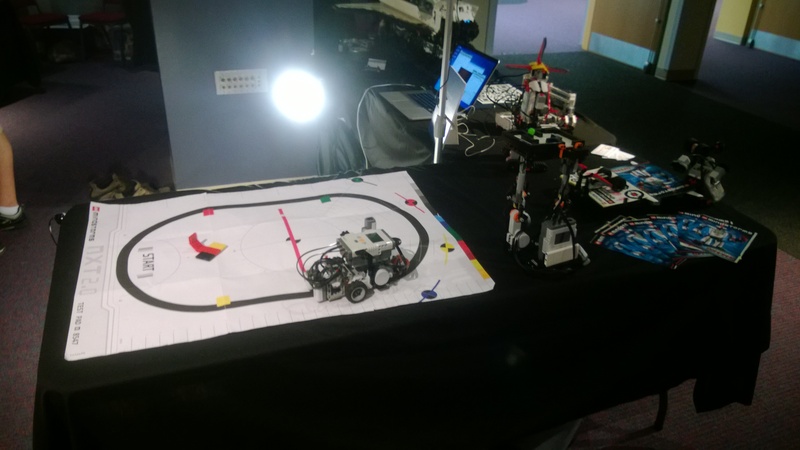 The demo tries to get the robots to form a triangle. The position of the triangle is determined by the user. The robots will follow the triangle as the user moves it. Check out the video above to see the tech in action! 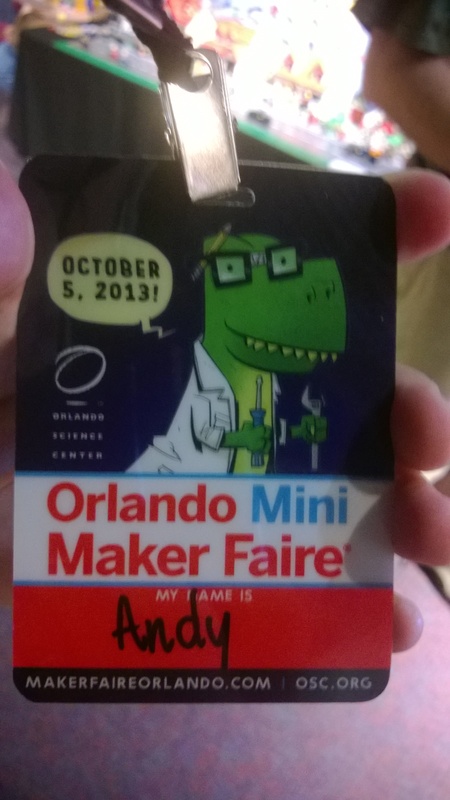 While the video was shot in my apartment, the picture, right, was from the Orlando Mini Maker Faire.